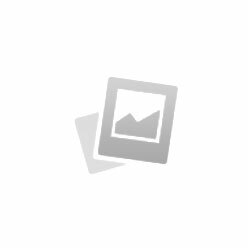 Cataneo is a company that supports and values a healthy work life balance. We are, besides the daily business of an IT company, also interested in society in general. We are keen on helping our employees, as well as people we collaborate with, achieve their goals in life by improving their skills, health and happiness. 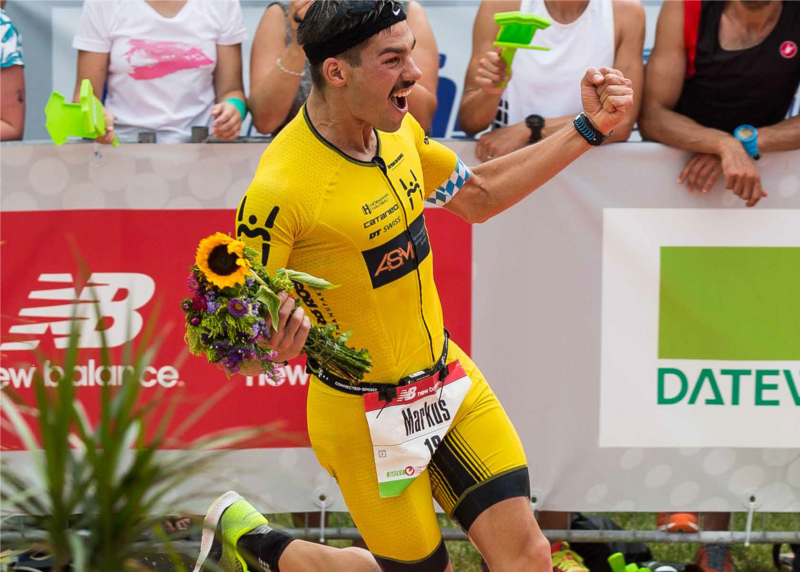 One of the people we collaborate with is Markus Hörmann, a German triathlon athlete and excellent example of a healthy and happy person. Markus is part of the Cataneo family since 2012 as a sponsored athlete and identifies himself with our company’s values. 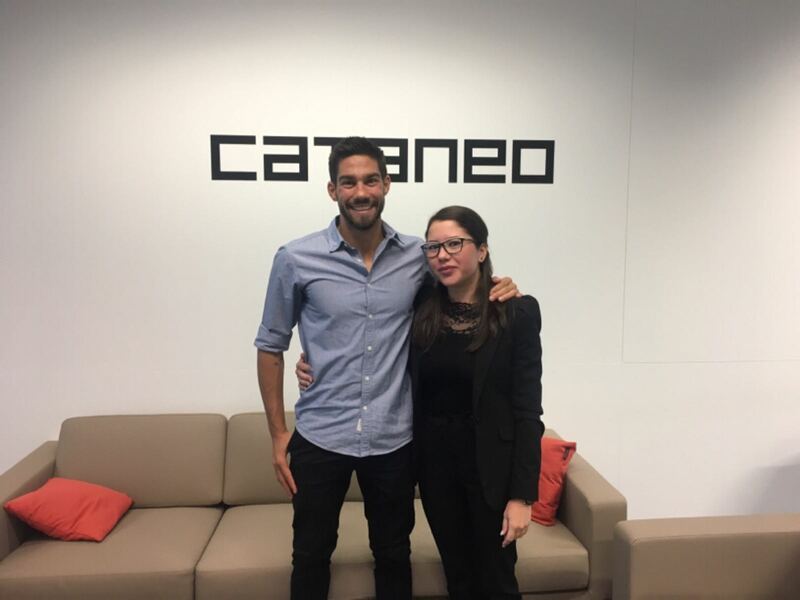 Markus visited Cataneo’s office in Munich and we would like to take the opportunity to share some information about him and his journey as an athlete. Markus just had his first few races after a career break. We are really impressed with how he dealt with needing to go under hip surgery and how the recovery time changed his way of thinking about life. His motto is “pure motivation” – he used it to get better and as the main source of strength. According to Markus, the reason why he not only reached his old form again and got even better than ever before, was his positivity. Markus said: “When you want to build a career and perform extraordinary, the most important thing, besides your mindset, are the people you are working with and having a supportive team around you. Cataneo is part of this team.” It makes us proud to hear that Markus is happy with us on his side. His views on life match with what we from Cataneo believe in, which is why we are encouraging our employees to take Markus “pure motivation” as an inspiration for themselves. He told us that the recovering period was one of his biggest challenges which made him more mature, wiser, thankful, a better person and athlete. We at Cataneo think that Markus is a very good example for us. It shows that tough times teach us lessons, make us stronger, and most importantly, give us a better sense of our self. As Cataneo was the first sponsor for Markus, he is very grateful to have this long term, personal relationship with us. Cataneo are also very happy to have Markus in our team in his best health and athletic shape. We are proud to sponsor him as part of the Cataneo family and an ambassador of our brand! Cataneo would like to thank Markus for his time and for sharing this personal story with us. We are looking forward to the future that lies ahead of us as a team!